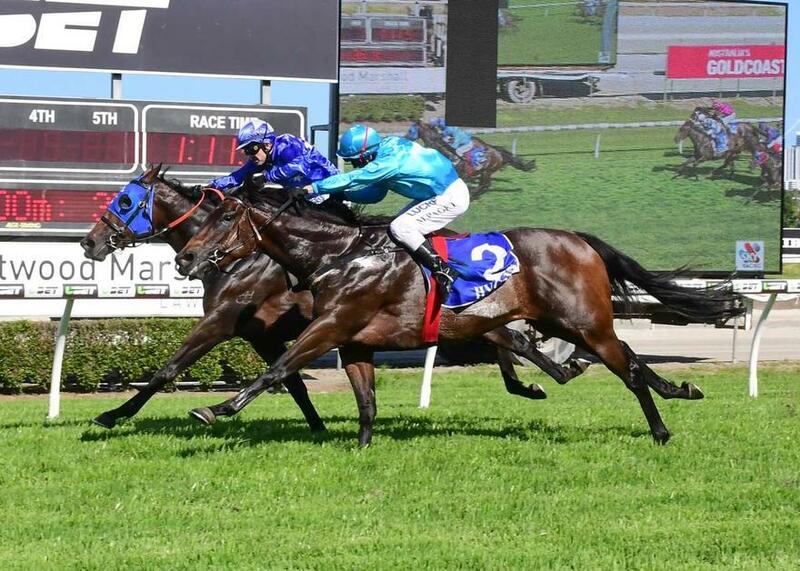 Three-year-old filly CEOL NA MARA went stride for stride with Cyclone Charli to share the honours in today’s ATTWOOD MARSHALL LAWYERS Fillies and Mares Maiden Plate (1200m) at the Gold Coast Turf Club. Settling just off the speed, CEOL NA MARA peeled out four-wide turning for home and launched a strong challenge under the urgings of jockey Nathan Day, but the judge was unable to separate the first two across the line after they waged an exciting battle over the final 200m. The first-up victory could just be the start of an encouraging preparation for the daughter of Your Song, who has now had one win and a third placing from four career starts. 09-Apr-2018, Blinkers, On, Comment: Declared - trialled in blinkers.